Even though it is still winter, it is the time to start thinking about your spring planting and which plants you’d like to grow for seed. 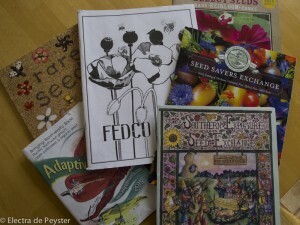 Type of seed – use open pollinated or heirloom seed as it produces new seed that is more true to the parent seed. Hybrid seed, if saved, is less likely to produce new seed that is similar to its parents. Because of that hybrid seeds are not recommended for seed saving. Soil fertility – crops grown for seed require good nutrition that is available over a long period of time. Consider using organic compost and amendments that are slow release. 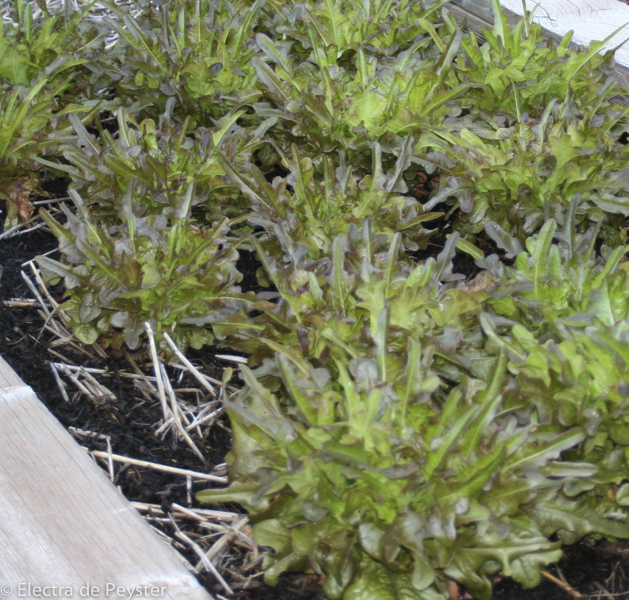 Space – crops grown for seed require more space because they normally increase in size once they start to flower and produce seed – this is especially true for biennials, like beets, chard and carrots. Remember too, that crops grown for seed will be in the ground much longer than a crop that is harvested right away. For example, lettuce is normally harvested after 40-50 days of growing. If you are growing it for seed, you can expect it to be in the ground up to 6 months. This also means that that space you might normally have had available for another crop after your harvest at 50 days is now unavailable for several more months. Isolation distances to ensure production of pure seed – Knowing which plants are of the same genus and species and which will cross is important if you want/need to grow pure seed. If a cross occurs it means that pollen has moved from one flower to another flower on the same plant or from a flower on one plant to a flower on another related plant. See Seed to Seed by Suzanne Ashworth for information on plant families. Peas, beans, lettuce and some tomatoes are self-pollinated which means their pollen doesn’t need to move to other flowers for seed set to occur. Self-pollinated crops are unlikely to cross with members of the same genus and species. That means you can plant more than one variety fairly close to each other ( 5-20 feet) without worrying about unwanted crossing. On the other hand, crops like hot peppers, squashes, broccolis, kales, carrots and corn are cross-pollinated and will cross readily with others they are related to. To keep these crops from crossing they must be separated by 500 feet up to 2 miles. Population size – How many individuals do you need to grow in order to preserve the genetic diversity of the variety? Self-pollinated crops like peas, beans, lettuce, or tomatoes are best for small gardens, because they require the fewest number of plants to make sure that a variety’s fullest expression is maintained. Organic Seed Alliance suggests that you only need a minimum of 5-20 plants of each these crops in order to get a good representation of genetic material for the next generation. If you have a larger garden, you can try crops that cross and need larger population sizes like hot peppers, squashes, members of the Brassica family, carrots, amaranths and corn. Peppers require a population size between 20 and 40 plants, whereas corn, which really needs to mix its genes, requires around 200 plants. Need for pollinators –crops that cross pollinate in order to produce seed need pollinators or wind to move the pollen from flower to flower and plant to plant. 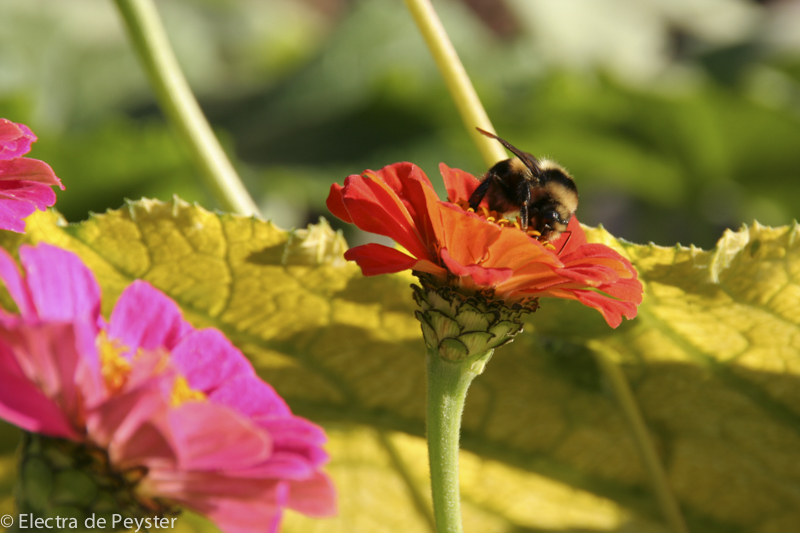 Planting lots of flowers in your vegetable garden will significantly increase the number of pollinators and consequently will result in better seed set and yield. The more pollen that moves, the better! Click here for a downloadable Seed Saving Chart that provides information on plant families, isolation distances and population sizes. The chart was published by Seed Matters and is now located on the Seed Savers Exchange website as part of its Community Seed Resource Program. Thinking about these things now will help ensure you have a successful seed growing season!